Risperdal is a medication intended to treat various psychiatric disorders; however, concern is growing regarding the potential for severe Risperdal side effects, including the possibility of the development of chronic diseases and life-threatening conditions. 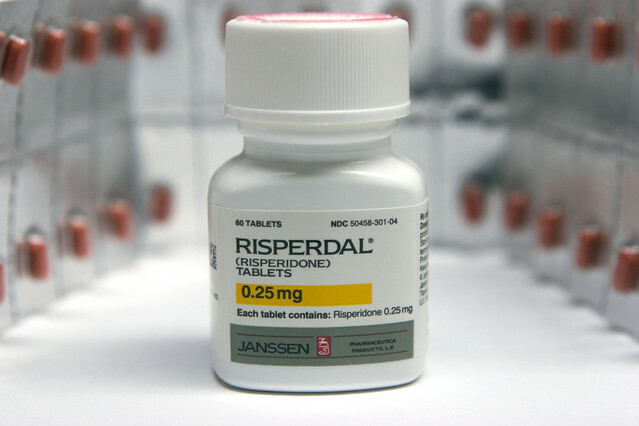 Risperdal (risperdone) is an atypical antipsychotic drug prescribed to treat schizophrenia, symptoms of bipolar disorder, and irritability in children with autism. Among all of the possible complications, gynecomastia is one of the Risperdal side effects that has garnered a significant amount of public concern. Gynecomastia refers to the enlargement of breast tissue in young boys, adolescents, and men. It occurs when the hormones estrogen and testosterone become imbalanced. The condition may affect one or both breasts, and may lead to breast tenderness and discomfort. While gynecomastia is not usually a medical concern, it can lead to significant adverse psychological problems for boys. Quite often, the only effective treatment is surgery such as liposuction or a more invasive mastectomy. Another potential risperdone side effect is the development of diabetes. Researchers believe the drug may contribute to this chronic disease in two ways: by leading to weight gain, which can affect blood sugar levels and encourage insulin resistance, and by directly affecting the actions of insulin within the tissues. In patients who took Risperdal and developed diabetes, the risk of other complications is also increased. When poorly managed, diabetes significantly raises the risk of an array of health problems, including damage to the eyes, kidneys, nerves, and feet, cardiovascular problems such as coronary artery disease (CAD), and more. The development of neuroleptic malignant syndrome after taking Risperdal is less common, yet very serious. This is a potentially life-threatening condition that presents with symptoms such as a high fever, muscle stiffness, paranoid behavior, and autonomic dysfunction. The autonomic nervous system is responsible for controlling involuntary bodily systems. When it is impaired, the patient can experience symptoms such as rapidly changing blood pressure, excessive saliva secretions, and excessive sweating. If left untreated, NMS can be fatal. Some families of patients who took Risperdal have been left to mourn their loved ones after a sudden passing. Sudden death because of Risperdal has been attributed to adverse cardiac events. Sudden cardiac death occurs when the heart abruptly stops pumping blood. It is not the same as a heart attack. It is caused by a malfunctioning of the heart’s electrical system. If emergency medical aid is not rendered within minutes, death is the result. Many Risperdal patients have reported psychological problems among the many side effects. These can include anxiety and restlessness in mild cases. Boys and teens who developed gynecomastia after taking Risperdal are also at an increased risk of suffering from poor self-esteem and depression as a result of their appearance. In more severe cases, Risperdal patients have been known to attempt suicide or commit suicide. The FDA lists the possibility of suicide among the many potential side effects in the labeling information for the drug. After the FDA approved Risperdal in 1993, concern quickly grew with regard to its potential side effects. The FDA never approved Risperdal for use in elderly patients with dementia; however, Johnson & Johnson was accused of illegally marketing Risperdal toward that demographic. Elderly patients with dementia are at an increased risk of sudden death with the use of risperdone. In 2008, a black box warning – the most serious possible warning for a drug – was added to the labeling information for Risperdal. The warning informed patients and doctors that the drug should not be used to treat psychosis in elderly patients with dementia because of the significantly increased risk of death. Another warning from the FDA acknowledged the increased risk of side effects the longer the drug is taken. It advised that doctors use the lowest possible dose and regularly re-assess each individual patient. Numerous clinical studies have substantiated the risk of serious side effects among patients taking Risperdal. A study conducted by researchers from the Department of Veteran Affairs at the University of Illinois at Chicago assessed the risk of diabetes. It found that patients under the age of 54 who took Risperdal showed the highest risk for diabetes. Of 5,901 patients evaluated, 193 – 3.27 percent – developed diabetes. A study published in the New England Journal of Medicine urged doctors to be more cautious when prescribing antipsychotics such as Risperdal because of the serious risk of sudden death from cardiac failure. The study determined that patients taking risperdone had a risk between “moderate to low” of cardiac events. It found 3.3 cases of sudden cardiac death per 1,000 patients. Those with schizophrenia were found to have the highest risk. Patients who have filed Risperdal lawsuits against Johnson & Johnson with regard to the side effects of their drug claim the company hid the risk of these complications. The most common side effect listed in lawsuits filed by individual plaintiffs, rather than government entities, is gynecomastia. The plaintiffs are demanding compensatory damages for the physical and emotional trauma associated with gynecomastia, and demand compensation for the treatment of the enlarged breast tissue in boys and young men. Many complaints note the depression and impaired self-esteem that can result from gynecomastia. Johnson & Johnson is facing dozens of lawsuits filed by consumers who allege injuries and adverse side effects from Risperdal; however, the federal government also became involved with risperdone litigation. Late in 2013, Johnson & Johnson agreed to a $2.2 billion Risperdal settlement after having been charged with illegal marketing practices and payment of physician kickbacks. The company still faces lawsuits filed by plaintiffs who contend Johnson & Johnson should be held liable for allegedly downplaying the risk of serious side effects, including gynecomastia and sudden death.